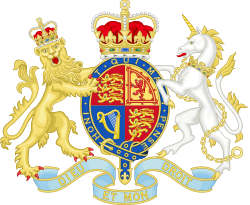 Henry Pelham, PC, FRS (25 September 1694 – 6 March 1754) was a British Whig statesman, who served as Prime Minister of Great Britain from 27 August 1743 until his death. 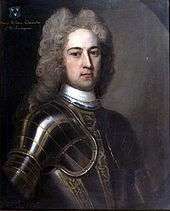 He was the younger brother of Thomas Pelham-Holles, 1st Duke of Newcastle, who served in Pelham's government and succeeded him as Prime Minister. 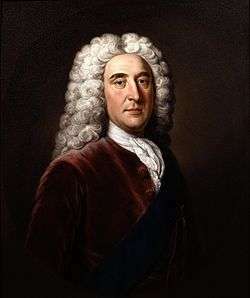 Pelham is generally considered to have been Britain's third Prime Minister after Sir Robert Walpole and the Earl of Wilmington. Pelham's premiership was relatively uneventful in terms of domestic affairs. In foreign affairs, Great Britain fought in several wars. Upon Pelham's death, his brother Newcastle took full control of the ministry. 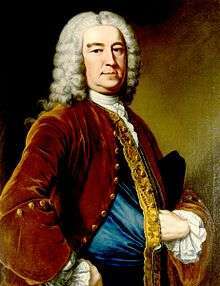 In November 1744, the Pelhams forced Lord Carteret out of the ministry: Pelham bluntly told the king that either Carteret step down, or the Pelhamites would, leaving His Majesty without a government. Thereafter Pelham shared power with his brother, the Duke of Newcastle-upon-Tyne. Pelham was regarded as the leading figure, but rank and influence made his brother very powerful in the Cabinet. In spite of a genuine attachment, there were occasional disputes between them, which sometimes led to further difficulties. The Augustan era was essential to the development of prime ministerial power as being entirely dependant on a Commons majority, rather than royal prerogative interventions. While the king struggled with his headstrong son, Frederick, Prince of Wales, his son's uncertain constitutional position was high in the Leicester House party set. In 1748 Frederick, a Tory, planned to bring down the Pelhamites at a general election due the following year. 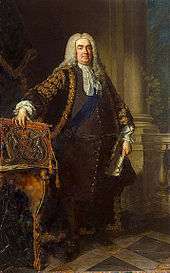 Prime Minister called an early poll in 1748 by asking the king to dissolve parliament in 1747. The prince and his father, the king grew to hate one another with unspeakable animosity. But one consequence was a closer relationship between Henry Pelham and the Sovereign. When he finally died in 1754, the King remarked "Now I shall have no more peace." Peace had been signed in 1748 leading inexorably to a number of cost-cutting budgetary measures. One social consequence of the press gangs going to sea in an expansive navy fleet was to the growth of industrial processes necessary for warfare. In the ports the fermentation of gin demonstrated clearly by engravers such as Hogarth in "Gin Lane" the deparavity issuing forth from the demon drink. Preachers "fire and brimsone" in favour of temperance, and drunken soldiers and sailors persuaded the administration to introduce the Gin Acts. The 1751 act was the last of four that had largely failed to prevent serious social unrest, including riots in London, reduced the number licensed dealers and sellers of liquor. By restricting supply the consumption dropped and price fell helping to manage the problem. Two of Pelham's final acts were the Jew Bill of 1753, which allowed Jews to become naturalized by application to Parliament, and the Marriage Act of 1753, which enumerated the minimum age of consent for marriage. Upon his death, his brother (the aforementioned Duke of Newcastle-upon-Tyne) took over government. 1 2 "About this project". Architecture. London, England: The Royal Institute of British Architects. Retrieved 30 June 2015. ↑ "William Kent". Oxford Dictionary of National Biography. England: Oxford University Press. Retrieved 30 June 2015. ↑ "Location Wimbourne House, 22, Arlington Street SW1". Historic England. London. Retrieved 30 June 2015.